We are a project-based learning school. Our students spend nearly four hours a day working on projects. Project work is interdisciplinary. One trimester a student might do a project on clean energy and another on the school-to-prison pipeline. The next, they could write a play and work on the food justice. Over the course of the year, projects cover all major subject areas, and also help students build five foundational skills: reflection, improvement with feedback, collaboration, problem solving, and project management. Here’s a sample of projects we’ve completed recently. Escape Rooms. To kick off the year, each of our 11th 12th grade advisories designs and runs their own escape room. Students experience professional escape rooms (some for the first time), meet with designers, and analyze how the rooms are planned and operated. They learn about different types of puzzles and how to link them. And they develop scenarios and storylines in which to situate the puzzles they create. Once they have their design, they construct everything they need to stage the room: puzzles, props, videos – whatever brings the experience to life for participants. The project culminates in a school fundraiser, attended by nearly 200 guests, where students run five classroom-based, hour long escape rooms. The science of baking. 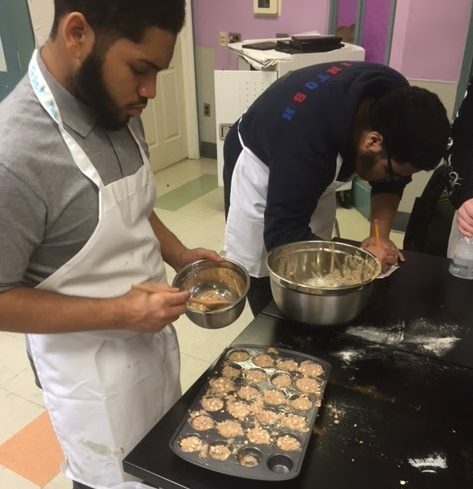 Last year, all cafeterias in the School District of Philadelphia began serving Rebel Crumbles, a breakfast cake developed by students from Rebel Ventures, an organization that works with Philadelphia youth to impact the supply of healthy food by developing food products that are sold to schools. However, the Rebels were facing two problems with their Rebel Crumbles: (1) How can they reduce “density” in the texture? (2) How can they reduce sugar content and maintain deliciousness? For this project, Workshop students helped the Rebels address these problems with their Rebel Crumbles while still making a product that is appealing to Philadelphia students. Mass incarceration. The rapid growth in incarceration in the United States is known as mass incarceration. This increase has been driven more by changes in policy than by changes in crime rates themselves. Throughout the course of this project, we examine the growth of incarceration in the United States and the effects of the growth in incarceration. We then think about what has contributed to the increasing levels of incarceration and what practical steps we can take to address the problem of mass incarceration. The project culminates in a city-wide Mass Incarceration Symposium. 9th grade play. Every spring, our ninth grade class writes and produces a play. 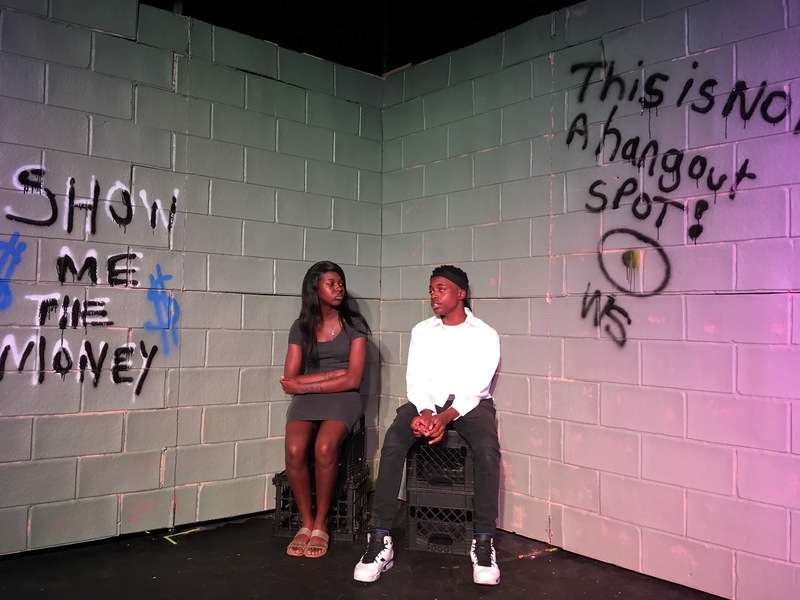 Last spring, two advisories read William Shakespeare’s The Taming of the Shrew and rewrote the play for a contemporary West Philadelphia audience. In the fourth quarter, the entire 9th grade split into four groups to produce the play. Students selected a group based on their interests: acting, set design, music and sound, and arts administration. Each group worked with one Workshop School teacher and one professional artist from Curio Theater in order to create a final product, public performance staged at the Curio Theater.